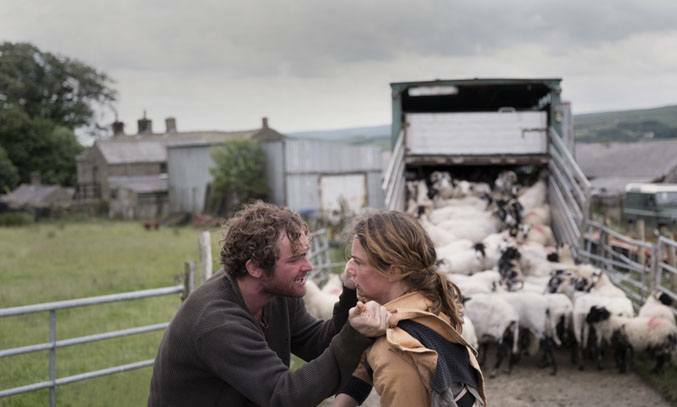 Following THE SELFISH GIANT (2013) and THE ARBOR (2010), Clio Barnard makes a welcome return to the big screen with DARK RIVER, a tense tale of a sibling resentment and a troubled past. Inspired by Rose Tremain’s novel TRESPASS, DARK RIVER follows estranged siblings Alice (Ruth Wilson) and Joe (Mark Stanley) as they struggle to come to terms with their inheritance following the death of their father. Returning home for the first time in 15 years, Alice finds both the family farm and her younger grieving brother in comparable states of disrepair. Ground down by the day-to-day care of their recently-deceased father (Sean Bean), Joe is looking for a quick sale but when Alice announces her intent to claim tenancy on the farm, tensions mount and troubled memories resurface. Dark, moody and incredibly intense, DARK RIVER is a troubled tale of a family ripped apart by demons of the past. Drawing upon visual compositions to communicate through silence, Barnard uses the harshness and serenity of the Yorkshire landscape to present a story driven by a female anti-hero. Alice finds herself battling not only her drunk of a brother but also the demons of an abusive past, which are cleverly shown through silent and suggestive flashbacks. The film is anchored by two excellent yet contrasting performances from Wilson and Stanley. In what is arguably her meatiest role yet, Wilson is superb as the wounded Alice, displaying both her power and vulnerability without the need for dialogue. Stanley is equally compelling as the frustrated and resentful Joe, a man hurt and angry at his sister for leaving him alone to take care of their father. Yet while this slow-burning story is presented in rather a beautiful way, the bleak and tense narrative becomes a little overbearing in parts and the eventual climax, in which a tragic turn of events give way to a hopeful conclusion, also rings false and feels a little contrived. That said, Barnard’s striking visual style and the magnetic performances from the two leads are more than enough to pull this searing and eloquent drama through. DARK RIVER screens at the BFI London Film Festival on 7 October 2017 and is released in UK cinemas on 23 February 2018.